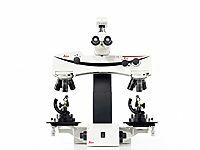 The Leica FS M manually-controlled forensic macroscope provides the flexibility, convenience, and comfort that make it the universal instrument of a firearms and toolmark examiner. 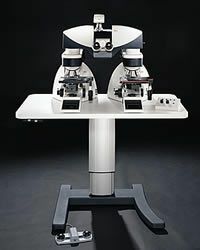 The versatile system is ideal for the simultaneous observation of evidence for training and consultation. 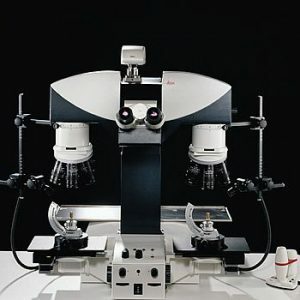 The high-quality comparison bridge supports two precisely matched sets of apochromatically corrected objectives on quintuple ball-bearing nosepieces. A 22mm field of view produces erect, unreversed images. The image moves in the same direction as the object for quick, easy manipulation.